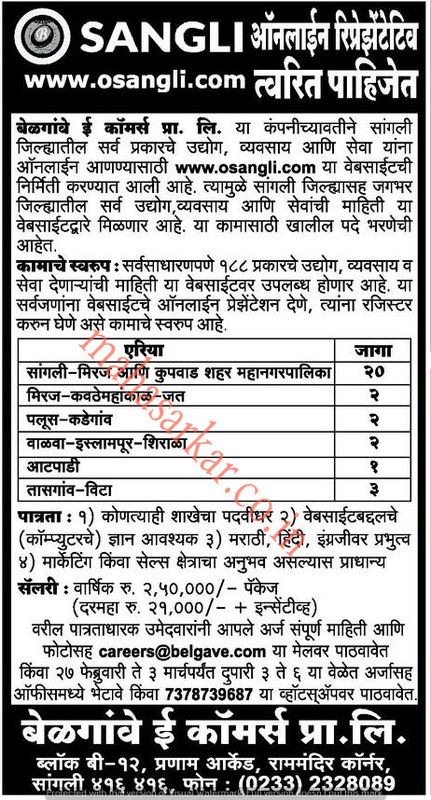 OSANGLI (OSANGLI E-Commerce Pvt Ltd), Sangli Published Job Notification for 30 Online Representative Posts. Candidates who wish to apply must look at OSANGLI Online Representative Recruitment 2018. Eligible candidates can apply online before 03-03-2018. Starting Date, Last Date to Apply Online at OSANGLI E-Commerce Pvt Ltd which candidates should be remember as follows. Last Date to Apply Online: 03-03-2018.